Forrás: India.com. Szerző: Priya Prakashan. 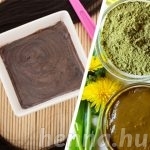 Henna is a natural herbal powder used for coloring hair. It nourishes your scalp and hair and acts as a good conditioner for your hair to help it grow faster. 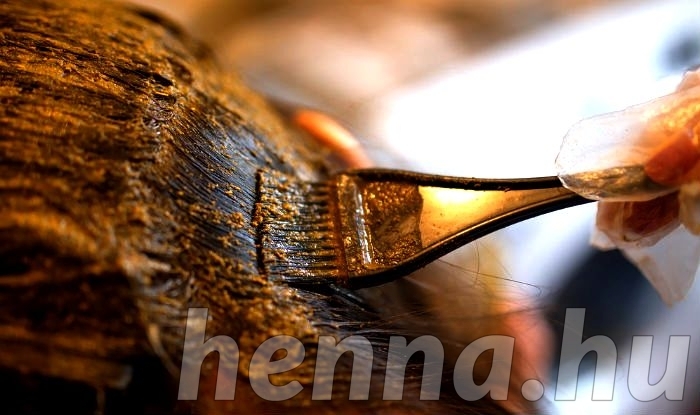 Here is a beginner’s guide to apply henna on your hair like a pro! 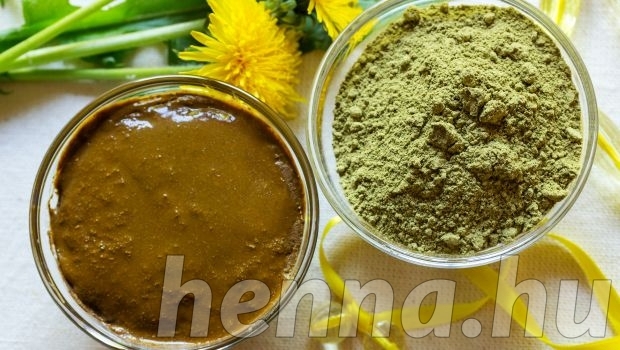 Henna is a commonly used plant-based dye to color hair. Using henna has a lot of benefits, it is not only a natural dye, but it also reduces dandruff, nourishes your scalp and conditions your hair. Though there are so many hair benefits, applying henna can be quite messy, as it leaves a reddish-brown stain. If you always wanted to apply henna to your hair, we share with you a step-by-step guide on how to apply henna to your hair properly. Follow this guide to apply henna on your hair. It is a safe alternative to synthetic hair colors and dyes. STEP 1: You need to prepare the henna mix way before the application. Henna comes in powdered form, you need to mix it with water to get a paste like consistency. Mix half cup of henna with one fourth cup of warm water to make a smooth paste. Add few more drops of water if necessary while you mix it well. Cover the container with a plastic wrap and leave it for 12 hours. STEP 2: Before you apply henna, wash your hair with a mild shampoo to clean your hair and scalp (do not use conditioner as it can prevent penetration of henna) and dry your hair. Apply some petroleum jelly or coconut oil in your hairline including your forehead, neck and ears to prevent staining. Also, make sure that you are wearing worn out clothes and cover your neck and shoulder with a towel to prevent staining. Wear gloves to protect your hands and nails as well. STEP 3: Comb your hair using a wide-toothed comb to remove all the tangles and part your hair in the center. Take a small section of hair, about 2 inch-wide from the topmost layer and using a brush apply the henna paste liberally from the roots towards the tips. Apply it thoroughly as you will notice that unlike the synthetic hair dye, henna does not spread easily. Repeat the same on the other sections of your hair. STEP 4: As you move from one section to another, twist the section that you have covered with henna and wrap it into a bun. The sticky henna paste will make the hair section turned into bun sit there. You can also use pin or a clip to secure it. STEP 5: Similarly work henna into separate sections of hair and wrap it into the bun you created from the first section of your hair. Saturate all the sections well with henna paste. After you have covered the top most section of your hair, start working on the layers below until all your hair has been covered in henna. STEP 6: Once you have covered all the sections of your hair move towards the hairline and add wherever you think needs more covered hear the hairline and roots. STEP 7: After you are done applying henna all over your hair, take a plastic wrap and cover your hair. Wrap it well all the way around your hairline without covering your ears. This wrap will help the henna to set as the cling plastic will keep the henna warm and moist. STEP 8: It takes between two to four hours for the henna to set. But you can leave it longer for more vibrant color. To remove the henna from the hair, hop into the shower and rinse it with water. Apply conditioner to your hair to loosen the henna paste from your hair. Rinse out the conditioner and towel dry your hair. Henna takes about 24 to 48 hours to develop properly, it will appear orange initially and later the color will deepen.